No compromises for the discerning gamer! 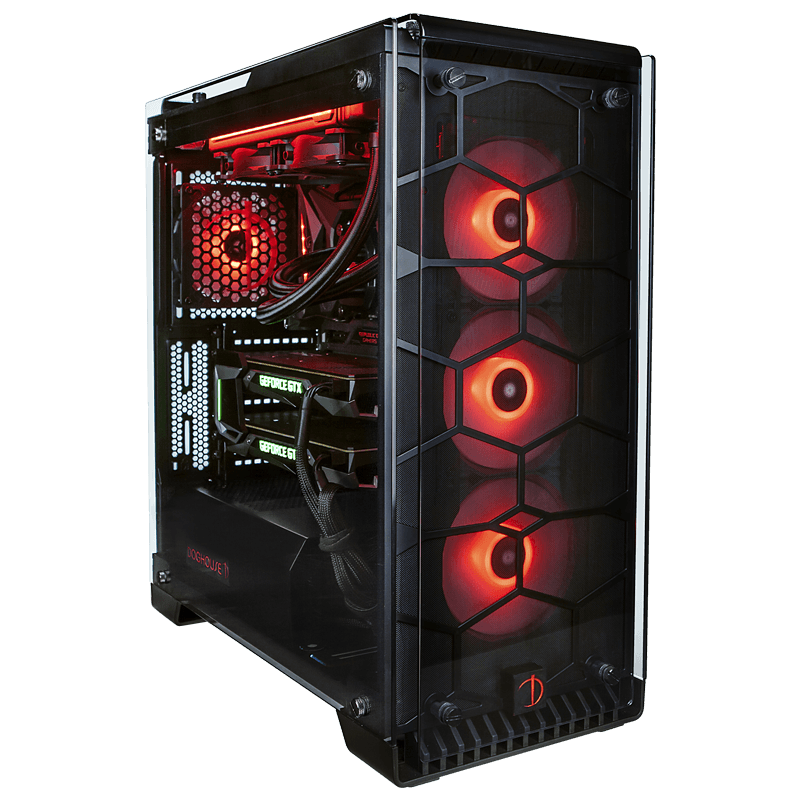 The Armor TL, our enthusiast desktop model, has a factory overclocked and water cooled Intel Core i7 eight-core processor and several options of NVIDIA GeForce graphic cards including dual cards using NVLink technology. 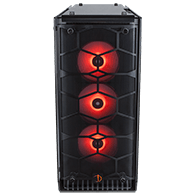 The Armor TL is our no-compromise system aimed at discerning gamers who demand bragging rights both in performance and features. The Armor TL is a beast and if you're looking for high-end performance at a respectable price, this is your weapon of choice. 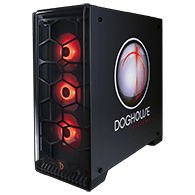 Corsair Crystal Series 570X: With immaculate tempered glass enclosing the entire chassis, every component of your DogHouse rig is on display for all to see, including three vivid SP120 RGB LED fans and a built-in LED controller. 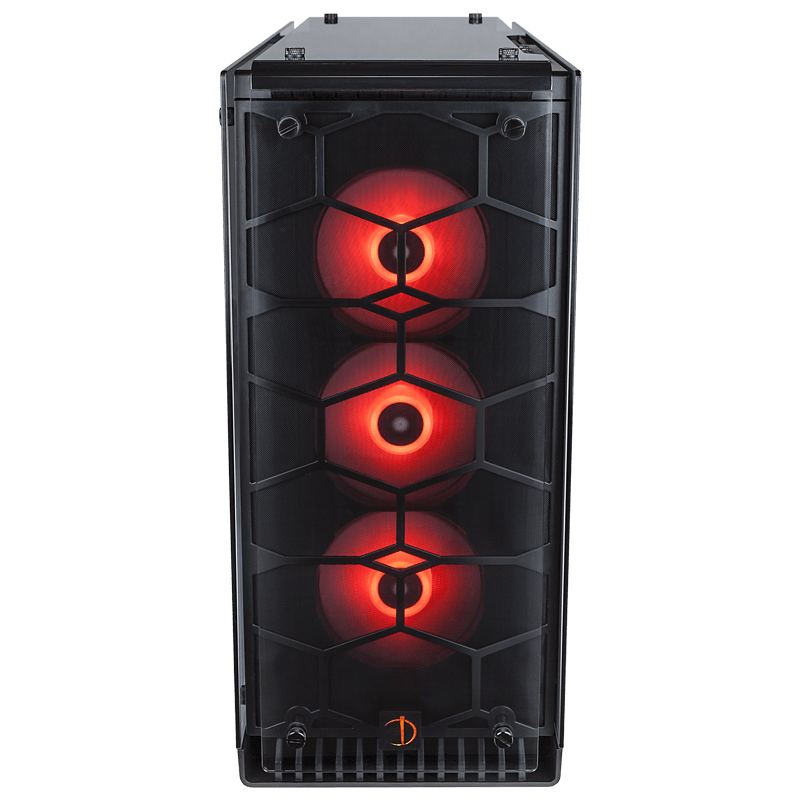 Corsair Graphite Series 760T Arctic White Edition: Stylish Mid-tower on the outside, jumbo full tower on the inside, the 760T is deceptively cavernous. Peeking inside will make you think you're peering into a blue British phone booth. The Armor TL holds nothing back. 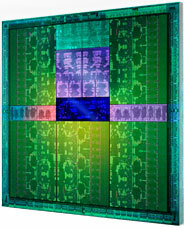 Its platform components lay the foundation for flexible configurations and future expandability. The shining star in the Armor TL is the all-new, water cooled 9th Generation Intel Core i7 eight-core processor with a base clock of 3.6 GHz and features Intel Turbo Boost Technology with an overclocked boost speed screaming at up to 4.9 GHz as well as Intel Hyperthreading Technology capable of juggling all your high performance needs without flinching. The enthusiast-grade motherboard features ultra-high quality capacitors and other components for reliable overclocking, six 6gbps SATA3 ports, dual PCI Express 3.0 video card slots, and a full array of front and rear connectivity ports which all conspire to support the latest in solid state drive technology, high-end graphics with SLI or NVLink support, and provisions for all your devices and networks. The advanced, energy-efficient motherboard sports bleeding edge technologies such as digital power delivery, a dual channel memory controller supporting up to 64 GB of DDR4 memory running at 3000MHz, Audiophile-grade ASUS SupremeFX eight-channel (7.1 + 2 independent multi-streaming) audio subsystem with five analog audio jacks and optical S/PDIF output that’s DTS Connect certified, on-chip CPU voltage regulator for flexible and stable overclocking, and on-board Intel UHD 630 Graphics that can stand in for video output duty should a problem ever arise with your high-performance discrete gaming video card(s). 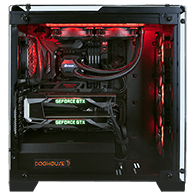 The no-compromise Armor TL offers the best in leading-edge technology and performance for the discerning power-gamer. 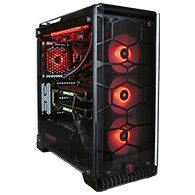 All Armor Series desktops feature Nvidia video cards to give you stunning graphics, stellar performance and an array of advanced features and connectivity options. 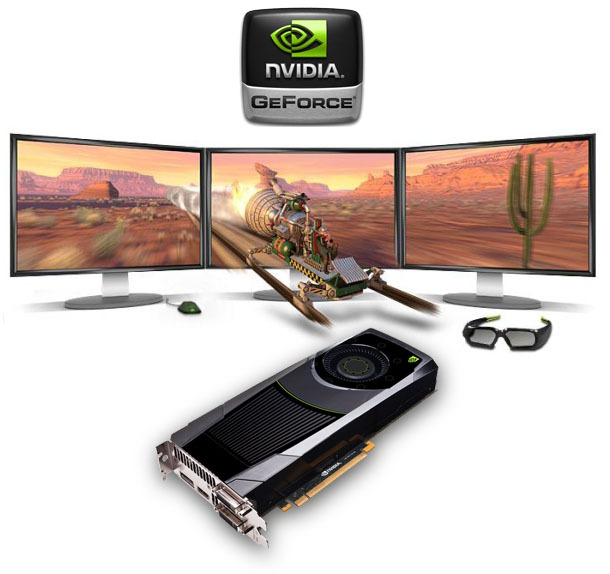 Whether you want the best immersive gaming experience, dual monitors, video editing or amazing 3D graphics, Nvidia can deliver on all! 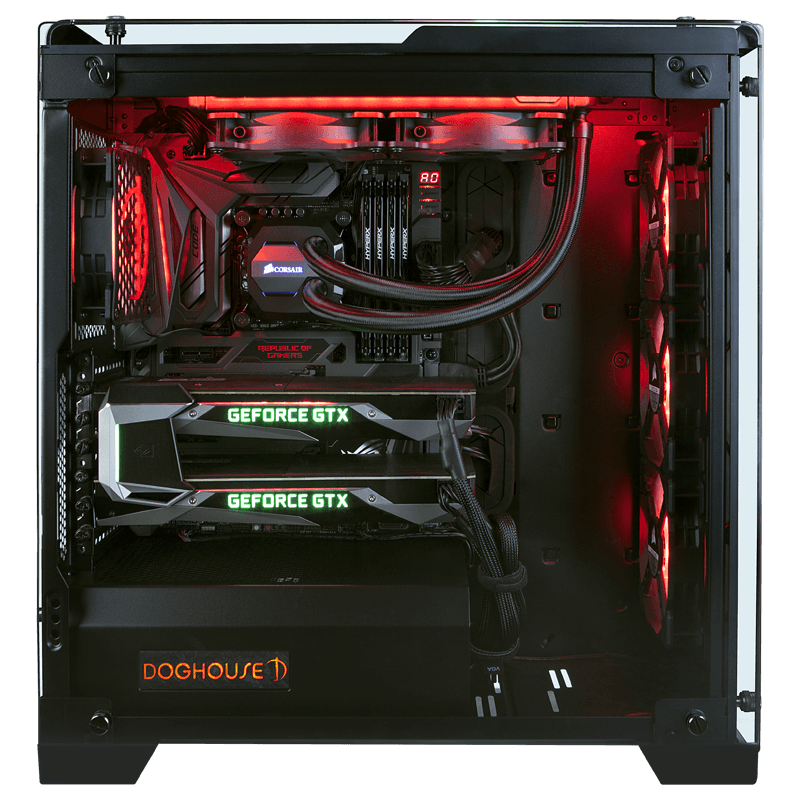 The Armor TL is available with a single EVGA GeForce RTX 2070, RTX 2080, or RTX 2080Ti. For elite gamers, we offer dual EVGA GeForce RTX 2080s, or RTX 2080Tis. Armor Series machines offer up to four mechanical or solid state drives (SSD) in any combination to meet your storage capacity and performance needs. 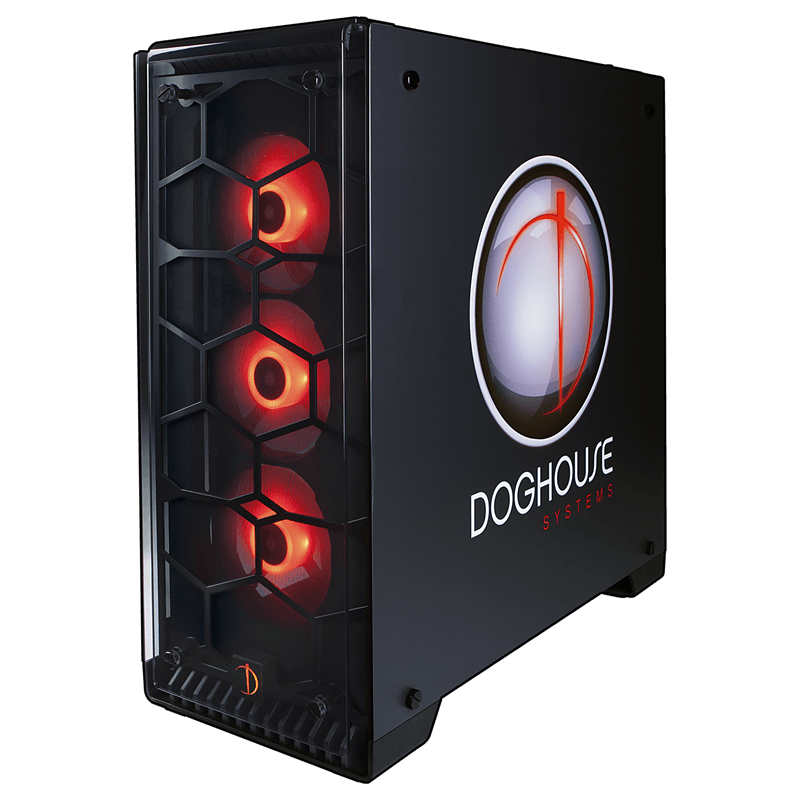 Each system comes default with a single 7,200 RPM 1 TB Western Digital Black Edition SATA3 drive, with upgrades available up to 6TB in size! For faster storage performance, add an Intel SSD with capacities as high as 512 GB or a Samsung 2 TB SSD with throughput as high as 540 MB/s. For blazing fast storage, choose an M.2 NVMe SSD by Samsung up to 2 TB with reads/writes rated at 3.4 GB/s and 2.5 GB/s, respectively. 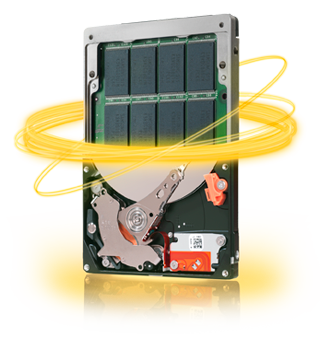 Combine an Intel Optane module and a standard SATA HDD together to take advantage of Intel Optane Technology with throughput as high as 1.2 GB/s to maximize budget and performance. These options give you many ways to quickly store and access your data. Optional: Microsoft Windows 10 Pro 64 bit.